Online Travel Search & Booking technology make travel agents more proficient in assisting clients. Having an online travel technology software that has comprehensive itinerary searching capabilities and integrated itinerary booking tools can set a travel business apart! 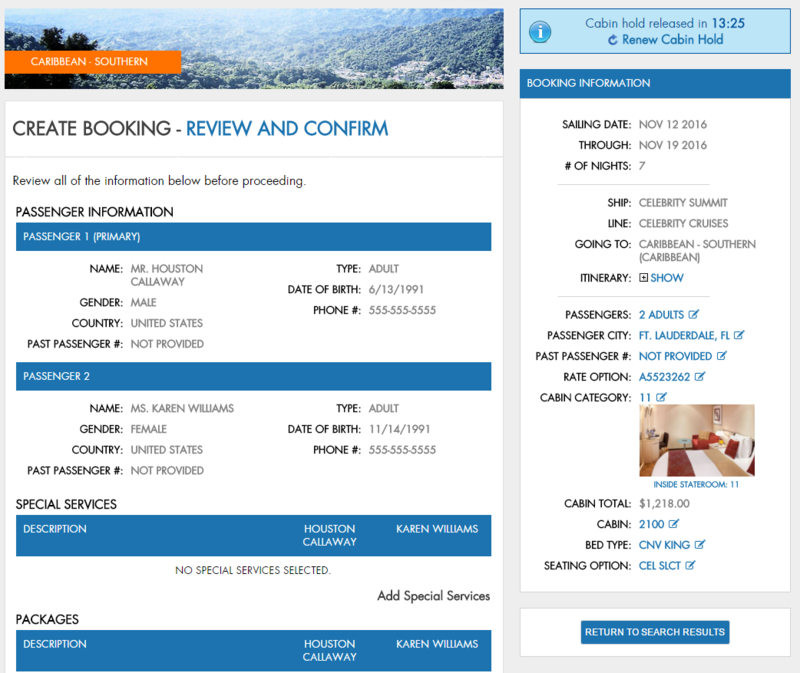 Vecto Technology offers RezSaver, a web based reservation system-- our flagship travel booking & searching software -- which is designed to streamline your travel agency being a GDS solution with direct API integration. RezSaver is fully customizable, including branding and color themes, travel reservation booking and is suitable for all travel agency sizes and capabilities. 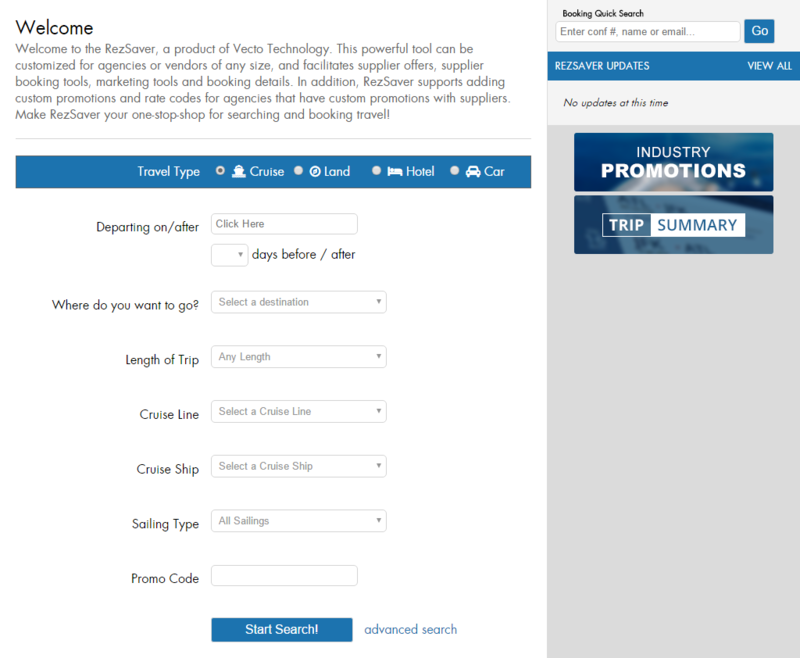 The unique travel search criteria for each component allows specific searches depending on the type of travel. Search for a particular cruise ship, unique land vacations, city and hotels, or where the car rental needs to be. And when the search needs even more options, use the powerful advanced search to find exactly what is needed. Once the ideal type of travel has been found using the Travel Search Engine, RezSaver allows for simple, direct travel reservation bookings by your travel agency. For cruise searches, RezSaver even includes a cruise comparison tool! Select multiple cruise sailings to compare against one another, or select multiple fare options for a single cruise to see what best fits the client's needs. RezSaver supports various types of rates for various travel itineraries as well. This allows for direct API integration with agency's preferred vendors for special rates, discounts, and other custom offerings. No matter if you are pulling or want to pull travel itineraries from the GDS or Sabre, Vecto can provide the travel API integration needed to make your travel website, and online travel agency software function seamlessly. Make the transition from travel searching to travel booking seamless for your travel agency clients. Give your travel agency the ability to directly assist clients by getting a travel search & booking engine.